Sonik, to the CTF mod. Team Bricktobrick is an excellent little map by Sonik and, as the .map file was available, and it would be a relatively simple task to do, I was able to oblige. 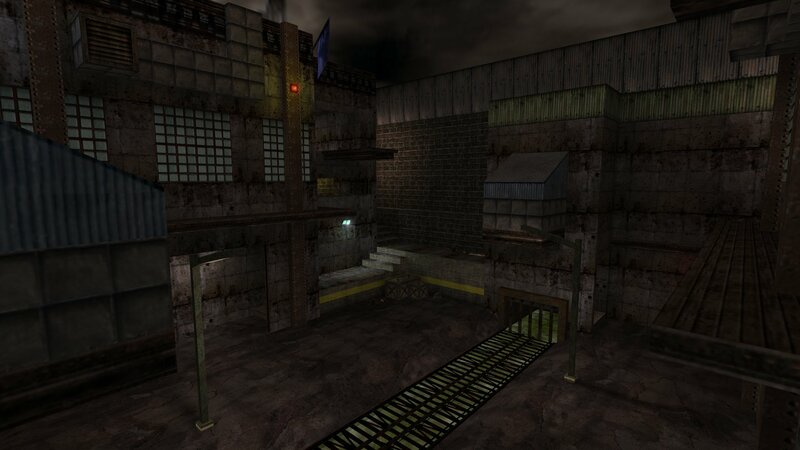 It's a small, urban style map with some nice gritty looking texturing. It's a mirrored map with the two bases inside old industrial stlye buildings and a grated river of slime in the in the centre of the map separating the two sides. 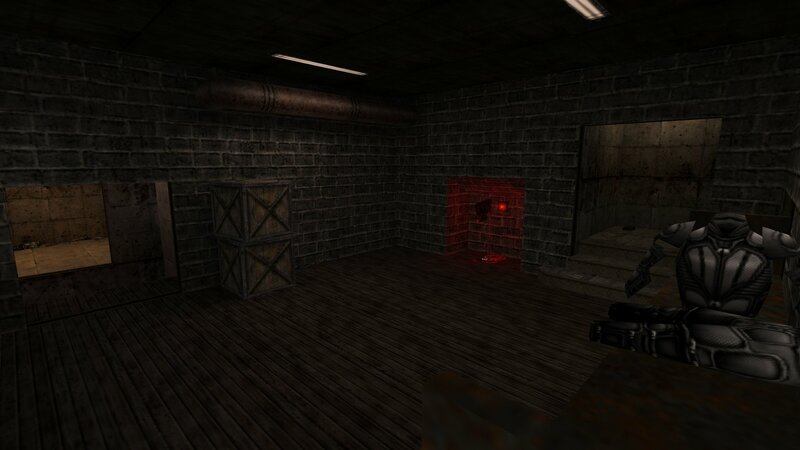 Monkey Harris has already added it to his Newskool CTF server. You can download CTF Bricktobrick here.